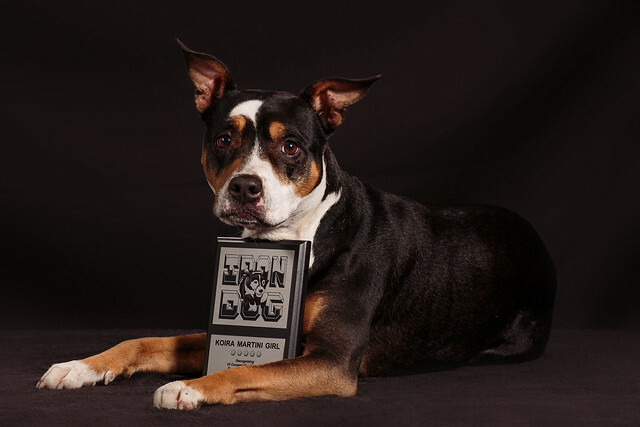 Koira earned her Iron Dog title (ten consecutive years racing NAFA flyball) this past fall. At the most recent tournament, we were awarded her official title plaque. 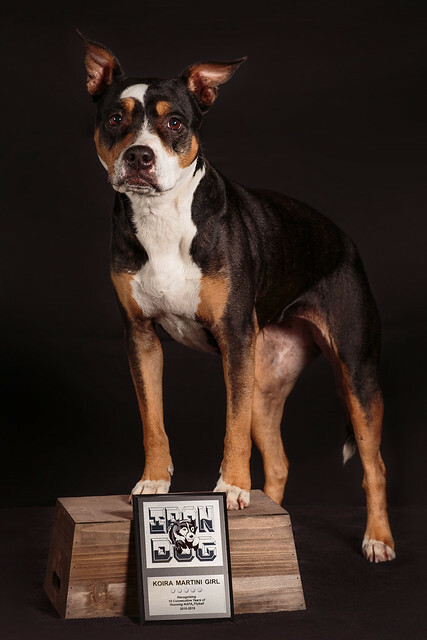 My awesome friend had her photo studio set up at a dog show, and let me use her set up to get these awesome photos of Koira with her plaque before we tore down at the end of the weekend. I don't normally shoot with flash, but Koira didn't seem to mind much. This is the first plaque any of my dogs have earned in any sport, and for it to be Koira's Iron Dog means so much. I'm hopeful that Ptera will be earning a plaque-worthy title this year as well, but I don't know that it could possibly mean as much as this one. 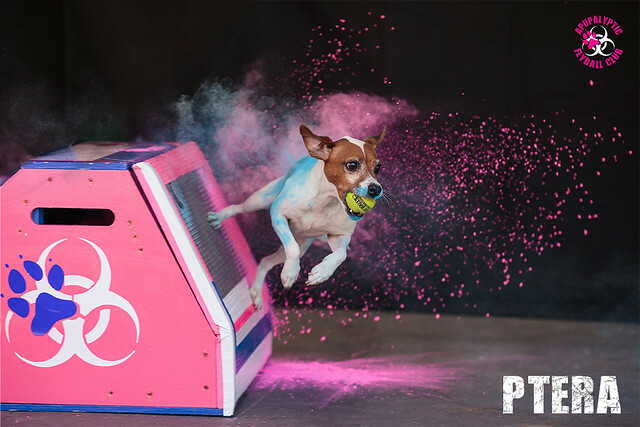 My latest post was sharing the (frankly fabulous) photos we got of our dogs doing flyball box turns accented with Holi powder. 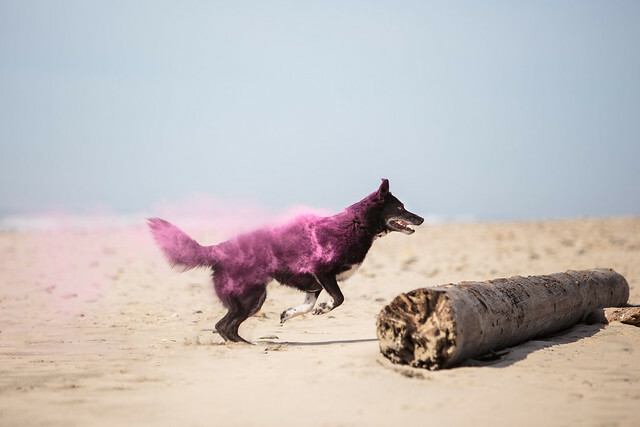 We did take a beach trip the week before to try to work out some of the kinks of shooting with this material, preparing for the final flyball shoot. 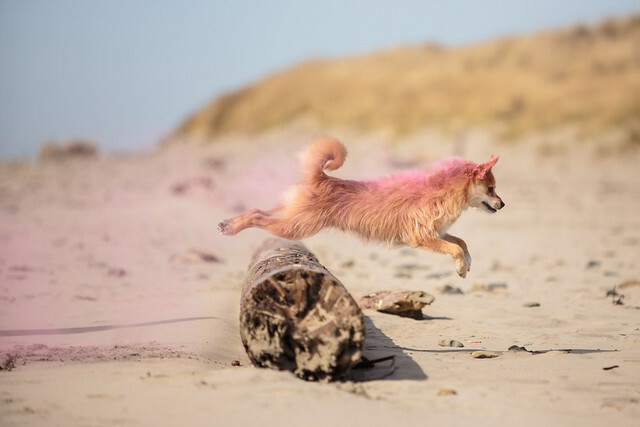 My fabulous teammate Fiona humored me by meeting me at a beach way too far away from her house and then by getting covered in powder handling all of the dogs. 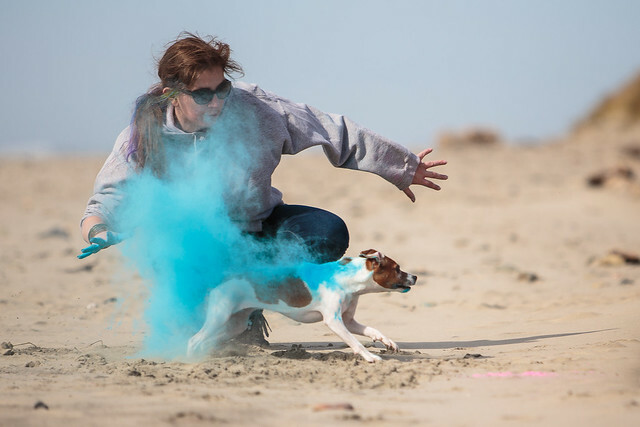 Holi powder is really, really bad for camera equipment, so she basically had to do all of the dog and powder stuff- because once there was a little powder on the dogs, it was just everywhere. Koira even came along to the beach to help with this. She thought it was a pretty stupid waste of a beach trip, broke a chuck-it in half with one chomp, and mostly ignored what we wanted her to do, but I love this shot I ended up with of her. Ptera got the fully-engulfed photo, which I think turned out great. There was a steep learning curve both with shooting and with applying the powder, so the photos we got I think turned out great. 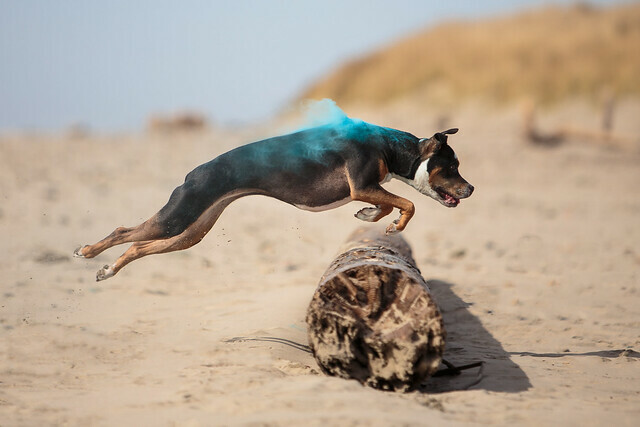 Flight demoed his cute jumping form and total lack of retrieve, going after the toy over the log each time only to take off towards the dunes, drop the ball somewhere, then come try to get powder all over the camera. He is cute, and sweet, but man, someone needs to train him or something. Angus, Fiona's dog, I think had the best powder effect of all the dogs. This shoot really has that almost flame appearance that I really like in Holi shoots. Overall, it was a really fun day, with a very steep learning curve. Our photoshoot the following weekend wouldn't have gone nearly so well without this afternoon spent at the beach! We've been busy, and have been doing a lot since our last post. The most exciting thing is probably Flight debuting in flyball, and earning his Flyball Dog title. He still has a ways to go, but I think he'll get there eventually. 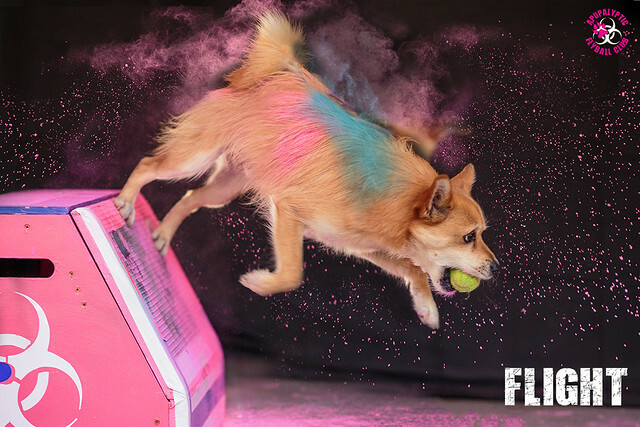 One of the most fun things we've done was a photoshoot with our flyball team. 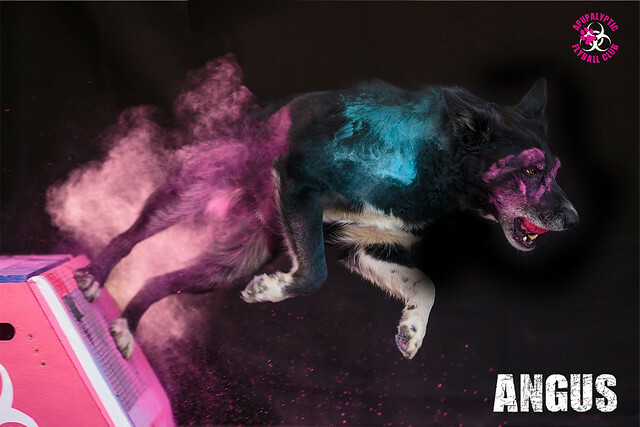 Photos with Holi powder and dogs have been getting popular lately, especially for disc and agility photoshoots, and I had been wanting to do some Holi powder flyball shots- and finally talked my flyball team into getting together to have some fun with it. The results ended up better than I hoped! 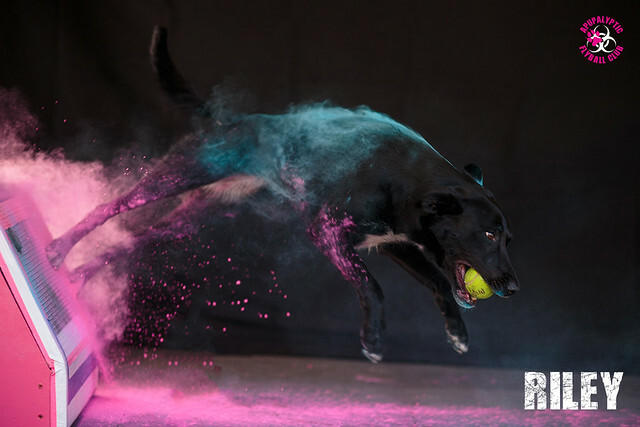 For most of these photos, the result was completely captured live through the use of powder, though the shots of Flight and Angus were composited by a flyball teammate who happens to be a graphic designer. All photos were taken by me, with the exception of the one of Flight, taken by aforementioned flyball teammate. This actually ended up being pulled off by just three of us, with five dogs between us, as our boxloader had other plans that day, one of our teammates was on a cruise, and one is still trying to survive the first year with a baby, and isn't quite back into the flyball swing of things yet. The dogs did fabulous, even Flight. 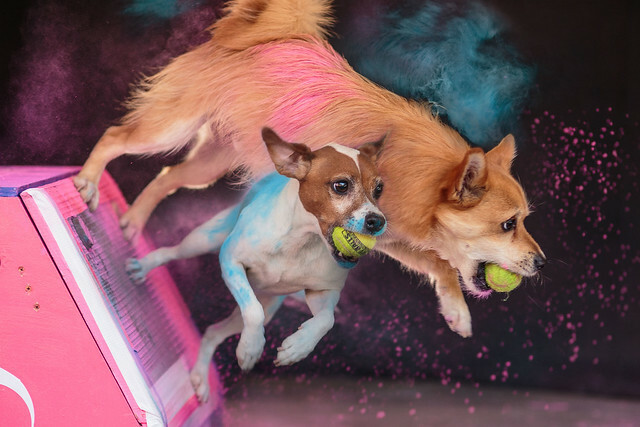 The box was actually shooting powder out (only in the thruster behind the dogs, of course, not into their faces where the ball is loaded), which could rightfully have scared any of the dogs. Especially Flight, who is weirded out by fans and heaters. But while they were all a little confused about the set up, for the most part, they were fantastic- and Flight did better than I thought possible. I really am thrilled with how these photos all turned out. Our team may be small, but we are fierce, and this project really brings that to light, I feel. I did have a little fun with some photos of Flight and Ptera, and composited the two of them together into one, which turned out great. 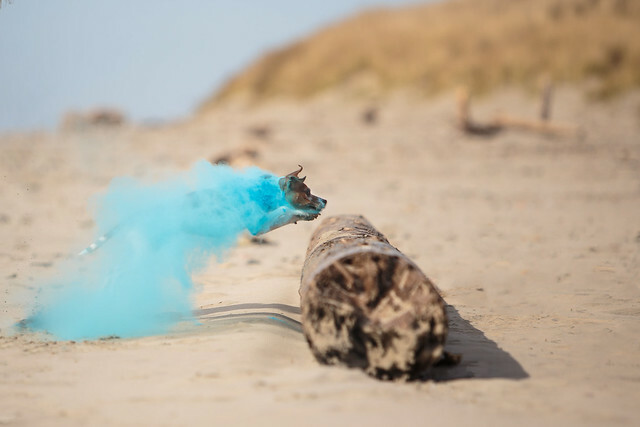 Koira is still enjoying retirement from flyball, and while she was there this day while we put the shoot together, she stayed in the house while we worked with the young dogs, so no photos of her with Holi powder doing flyball. Koira, the dog of my heart. I originally got into flyball with her. She loves playing ball, frisbee, swimming, and sleeping in late under the covers. Ptera joined us in 2016, and has made a huge splash despite her small size. She is my go-everywhere, do-everything dog, always ready for an adventure. Flight joined the So Fly family in March of 2018 at one year old. 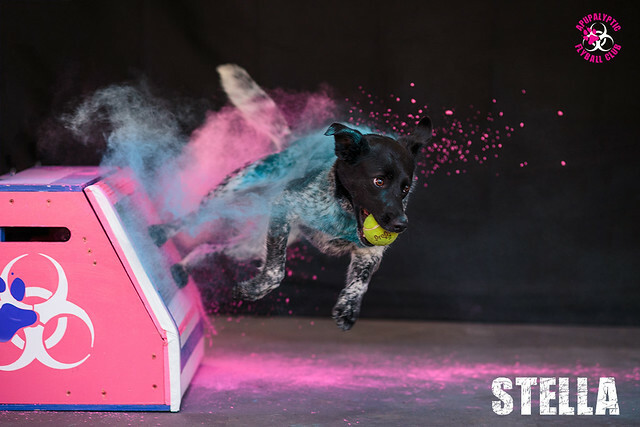 He debuted in his first flyball tournament in January 2019. Pallo is now retired from flyball, and lives with a good friend and her family. He is enjoying retired life as a family pet. ‘เอร์เรร่า’ ชี้ ‘ซิตี้’ กดดันเรื่องคว้าแชมป์กว่า ‘ยูไนเต็ด’ เพราะทุ่มเสริมทัพหนัก!! !